The 0416-004 from Axis is a cost effective 16 channel video encoder with great video performance and excellent audio quality. It can simplify migration to network video without upgrading existing camera systems. AXIS P7210 provides edge storage through four microSDHC memory card slots. The video encoder supports all types of analog cameras including PTZ (pan/tilt/zoom) and PTZ domes. 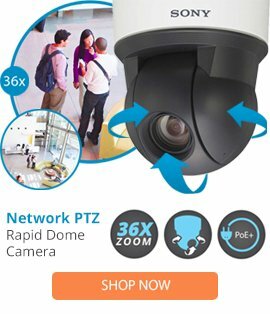 It features both RS-422 and RS-485 for controlling analog PTZ cameras. Configurable inputs/outputs can be connected to external relays and sensors for activating lights, locking/unlocking doors etc. AXIS P7210 is perfect for large analog video installations, especially where an IP network infrastructure is already in place. It is powered over Ethernet using the same cable as for data transmission, which simplifies installation. A power supply is also included in the package.